If you can’t get enough of The Bachelor franchise, there’s good news today. ABC has announced that they’ve renewed their Bachelor in Paradise TV show for a fifth season. Season five of the show will air twice a week — on Mondays and Tuesdays — beginning Tuesday, August 7th. The cast will be announced at a later date. 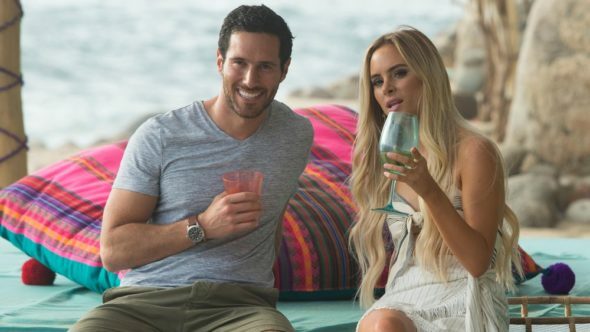 This will be the fourth series in the franchise that has aired this year, joining The Bachelor, The Bachelor Winter Games (which ran as counterprogramming to the Winter Olympics), and The Bachelorette, which is currently airing. It’s unclear if the alphabet network will be reviving the Bachelor in Paradise: After Paradise companion show. That series ran for two seasons and last aired in the summer of 2016. Summer lovin’ is sure to happen fast as the hit series “Bachelor in Paradise” returns for season five TUESDAY, AUG. 7 (8:00-10:00 p.m. EDT), on The ABC Television Network, streaming and on demand. Breakout fan favorites from “The Bachelor” franchise are back and ready for a second (or third) chance at finding love. They may have left “The Bachelor” or “The Bachelorette” brokenhearted, but now they have the opportunity to travel to a romantic paradise in hopes of turning a potential summer fling into the real thing. Cast to be announced at a later date. Fans will follow former bachelors and bachelorettes as they explore new relationships while living together in a secluded and dreamy paradise in Mexico. As they have some fun in the sun, America will witness whether they fall in love or are reintroduced to heartbreak. This season will be sure to feature shocking twists, surprises, unexpected guests and some of the most unlikely relationships in “Bachelor” history. Which romantic hopefuls will follow in the footsteps of Jade and Tanner or Carly and Evan? And for anyone wondering where Paradise could lead them, newly engaged Ashley and Jared have proven that anything is possible when it comes to true love. Hosted by Chris Harrison, “Bachelor in Paradise” is a production of Next Entertainment in association with Warner Horizon Unscripted & Alternative Television. Mike Fleiss, Martin Hilton, Nicole Woods and Elan Gale are the executive producers. “Bachelor in Paradise” is broadcast in 720 Progressive (720P), ABC’s selected HDTV format, with 5.1 stereo surround sound. What do you think? Do you enjoy The Bachelor franchise shows? Will you be watching season five of Bachelor in Paradise on ABC this summer? Why did this show get renewed?